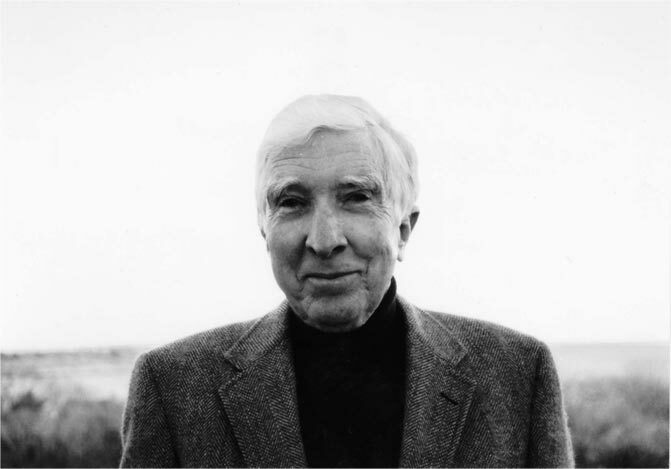 Novelist Dianna Evans writes a fine essay regarding the late John Updike's decline in reputation as a novelist due, mostly, to his over all failure to create fully-formed women characters. Her response is ambivalent, understandably so, as Updike could be mean to his women characters, and yet he wrote so beautifully, lyrically, ingratiatingly. No surprise the late novelist John Updike isn't a favorite among younger readers in this era of "Me Too" and "Times Up". Indeed, the age of men being held accountable for their conduct has come and it's here to stay. A good thing. Updike was not especially kind in his depictions of women in his fiction, and for that he needs to read critically, but one needs to admire his stated understanding of what his duty as an artist was,"“My duty as a writer is to make the best record I can of life as I understand it,and that duty takes precedence for me over all these other considerations.” The novelist and short story writer wrote elegantly, lyrically, poetically, he had , perhaps, the most perfect prose style of any American writer of his generation, and he created a fictional world of men, mostly heterosexual , fumbling through the lives full of small stakes ambition and fully licensed libidos that derailed their best natures with compromises of opportunism, affairs, self deception, an inability to see larger contexts beyond their perspectives. The writer was , like many of his characters, unable to see further than his own vision, an aspect that might be called a great writer's failure of imagination,but what he did know he know--a straight , middle class male's world of materialism and lust rationalized into metaphysical permanence--he understood intimately, knowingly, and was aware of how the limits makes perfect plans, perfect plans, fall apart or produce results contrary to expectations. Updike wasn't, I don't think, quite so oblivious to his renderings of women in his tales, but I think his aim, over all, was to imaginatively construct the many scenarios of how the perfect worlds of his protagonists are at odds with a universe that will not obey good or bad intentions. That he wrote about this world so beautifully--there are those times when I pick up an Updike book, say "Rabbit Run" or "The Centaur" or "The Witches of Eastwick" just to have the language figuratively roll of the page as if the words , the sentences or the fleeting notes of a transcendent Clifford Brown solo-- might be a flaw in his art, one could argue.